2 + Two is a pattern by Colleen Blackwood designed to use Jelly Rolls or Bali Pops, or any precut 2 1/2" strips. 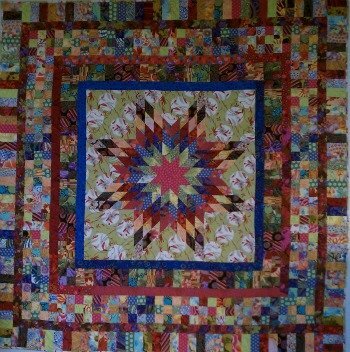 Two Jelly Rolls and two yards of fabric are all that is needed to make this gorgeous 78" quilt! This is always a stunning quilt. Come make one of your own!